There are many nutritional benefits of eating broccoli. This dark green vegetable belongs to brassica members which includes cauliflower and cabbage. You can eat cooked or raw broccoli but if you eat boil broccoli then you can get many benefits. It contains iron, protein, calcium, carbohydrates, chromium, vitamin A and C which makes vegetable nutritious. It also contains phytochemicals and antioxidants which is helpful to fight against disease and infection. 1. Broccoli is full of vitamin c which is considered great nutrient for proper functioning of the immune system. 2. Broccoli very good source of chromium which controls diabetes and regulate the production of insulin in the body. 3. According to the researchers, broccoli contains beta-carotene which prevents eye cataract and muscular degeneration. 4. It is believed that broccoli contains sulforaphane which reduces damage skin causes from UV radiation. It is also helpful in reducing swelling. 5. 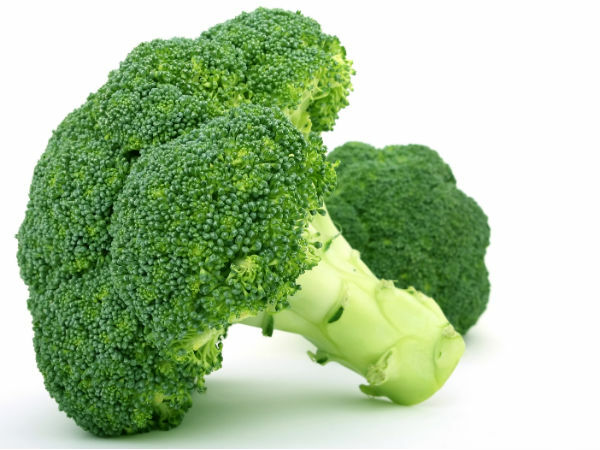 Broccoli has calcium, phosphorus, magnesium and zinc which strengthen bones. Therefore, it is considered very good for the elderly and pregnant women. Because they have too much risk for osteoporosis. 6. Broccoli protects the body from anemia and Alzheimer's because it contains too much iron and pholate. 7. Broccoli helps pregnant women. It is a good source of pholate which helps prevent fatal neurological defects. 8. Broccoli reduces the risk of certain cancers such as breast, lung and colon cancer. It has phytochemicals so it is anti cancer nutritional vegetable. 9. It is the good source of fiber, chromium and potassium which can reduce cholesterol levels and controls blood pressure. 10. Broccoli has carotenoid lutein which prevents arteries become fat. It reduces the heart attack and other heart diseases. 11. You will not only get health and nutrition but also you can reduce your weight by broccoli because it has very low calorie. You must have to include it in your diet.